Previews for Red Dead Redemption 2 went up yesterday and with them came a bunch of new info about what to expect from Rockstar's cowboy epic. And 'epic' might be the optimal word here as all the previews paint a picture of a game guided by immense scale and meticulous detail. We dug around and picked out some of the more interesting details from yesterday's preview bonanza. Details from Red Dead Redemption 2 we think could be explored in the future. Because while things like weapon degradation are cool, we could stand to learn how it might affect the game as a whole. Careful where you tread friend. 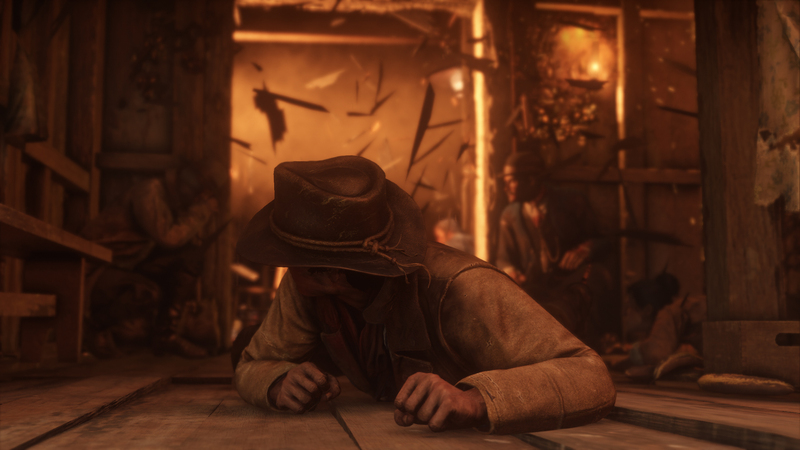 In several previews you can read about how in Red Dead Redemption 2 weapons can degrade over time and even jam while shooting. To make sure this doesn't happen you can clean your weapon regularly to keep your gun in top form. 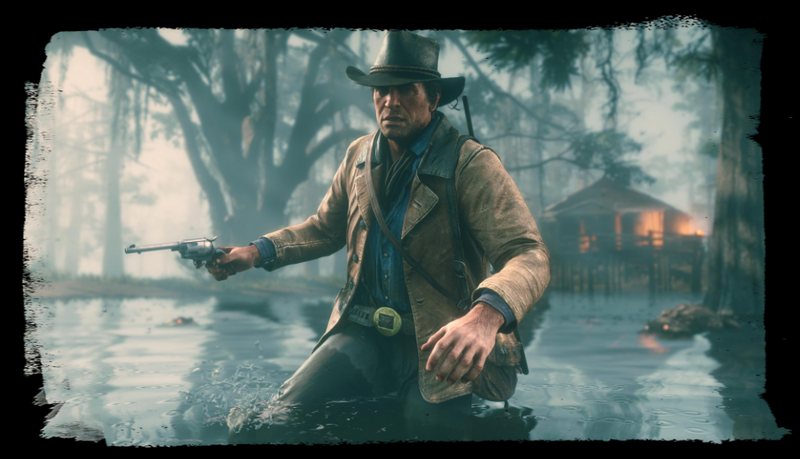 However, if you take your gun through water, or maybe even get caught in the rain your gun can rust up, so be careful how you treat your firearm out in the frontier. No word yet on how this mechanic might affect PvP in the recently announced Red Dead Online, but we've reached out to Rockstar hoping for some answers. It seemed for a moment that Rockstar was making an action-adventure game like the first Red Dead Redemption. But reading the recent previews and the game sounds awfully sim-like with its dedication to old west realism. Arthur Morgan's hair grows in real time, and if say he's skinned one too many deer then he's going to start stinking like a man covered in deer viscera. So, it's important to shave, get your haircut, and yes, even bathe lest you want the townsfolks to start avoiding deer-stink Morgan. Unless they're into that presumably in which case we have to ask: Are there events where you just have to be an absolute gross boy in order to unlock? Better keep warm out in the frontier. Red Dead Redemption 2 takes its realism seriously, and that means you can't just slap on your favorite cowboy outfit and call it a day. Depending on the weather, the clothes you wear will affect your performance. If it's a particularly hot day and you're wearing a thick fur coat, well friend you're going to run your stamina into the ground faster than if you were wearing more weather appropriate clothing. And if you're a fan of unique character fashion in games, you'll apparently be able to customize Arthur's clothing to an insane degree. According to IGN you can decide whether to tuck your jeans into your boots or roll up your sleeves. No word though on whether these small details affect your character's performance. Horses make for a great mode of transportation, but in Red Dead Redemption 2 you better treat your horse like a Tamagotchi if you really want to unlock the full potential of a mighty steed. Your relationship with your horse will determine whether your horse can do cool things like drift or kick you if you walk behind it. Feed and bond with your horse and things should go smoothly, and if your horse is ever killed, well, they're gone forever. Will bonding with your horse unlock a clear progression path for horse skills, or is it more natural? Like one day you're riding and suddenly your horse will fight alongside with you in gunfights? 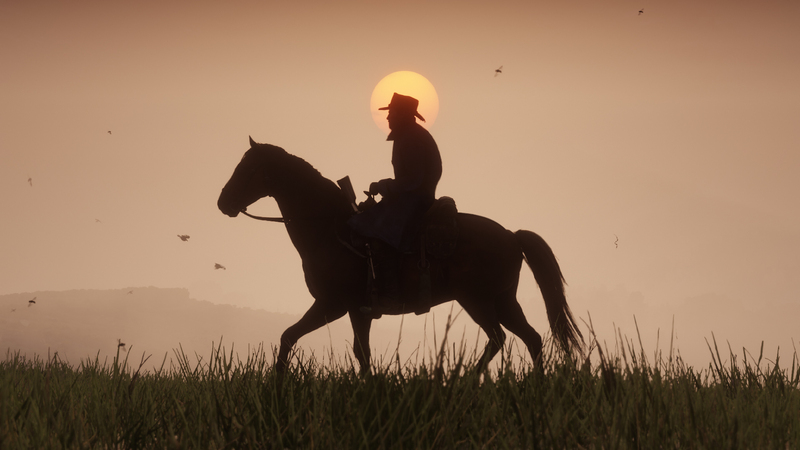 Based on the previews it's clear that Red Dead Redemption 2 will be rife with emergent gameplay, that is to say, unplanned or unscripted events that arise based on unique conditions the players lined up for themselves. So, for example the kind of clothes Arthur might be wearing during a certain encounter could affect how the interaction plays out. 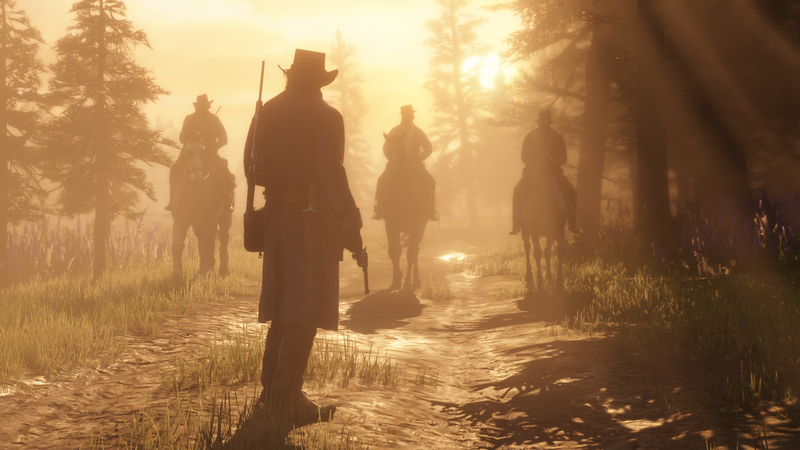 There are also scenarios that could be scripted but might seem random due to the scale of Red Dead Redemption 2. In VG247's preview, the first encounter in the open world is with an NPC who was bit by a poisonous snake. Whether this is a truly random event (i.e. maybe if you get there a minute too late the NPC is already dead) or a quest is not immediately clear from the preview. I wonder if it's chilly up there. 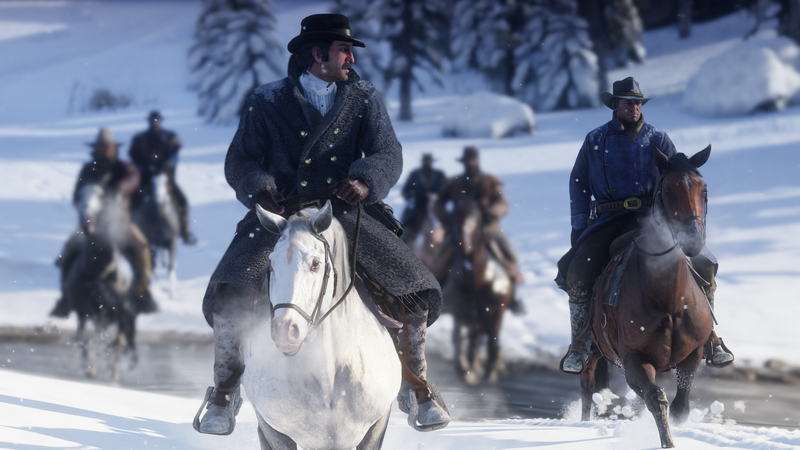 According to Kotaku your horse's testicles are animated and can shrink depending on the temperature. We think that's pretty surprising and no real follow-up questions. 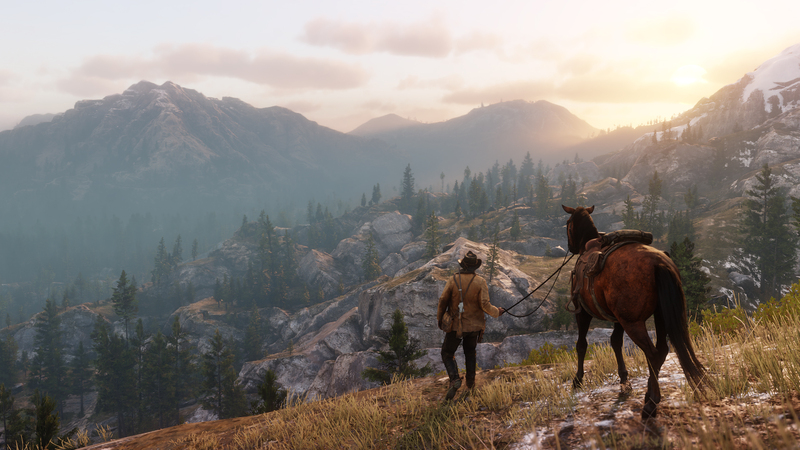 For more on the western sequel check out our Red Dead Redemption 2 guide for all the latest news, trailers, and release info. Red Dead Redemption 2 comes out on October 26 for PlayStation 4 and Xbox One. Tagged with Analyses,	PlayStation 4,	Rockstar Games,	Xbox One.